Precision measurements in even the most extreme manufacturing environments – CMM accuracy wherever you need it. Manchester Metrology has recently invested in a new Aberlink Xtreme CMM which is being installed on 15th March. An exciting new service, the Aberlink Xtreme CMM is ideal for inspecting smaller accurate parts in house. The Xtreme is a revolutionary shop floor CNC CMM designed using a non-Cartesian structure and utilising linear motors and mechanical bearings. It is therefore an extremely robust, stand-alone inspection unit that is sold at a price that means precision measurements can now be made anywhere that you want them. The award-winning Xtreme CNC CMM provides a robust solution for providing precision inspection results. The unique CMM’s advantageous configuration ensures that it maintains its accuracy at very fast measurement rates and does not suffer from the accumulative inaccuracies that occur in conventional 3-axis Cartesian designs. The Xtreme is a self-contained inspection unit. It has no air bearings, so no requirement for compressed air – just plug it in and go. Built-in temperature control and a compact footprint allows the Xtreme to be placed wherever it is needed. Another unique advantage of the Xtreme is that all of the struts are controlled to operate at 40°C. This means that the measurement structure of the Xtreme will always be at a constant temperature even when the ambient environment is not controlled and hence measurement accuracy will be maintained. For more information about this innovative new product please contact us here, or call 0161 637 8744. Manchester Metrology’s Faro equipment has been used recently to help uncover large group of 560 million-year-old fossils on the coastline of Little Catalina. If you would like to see images and read more about the project, read our full case study here. Manchester Metrology is very pleased to announce it is now an official reseller of the CyberGage. Designed for use in general purpose metrology, the CyberGage360 has a range of potential industrial applications from automotive to aerospace where high accuracy and high speed throughout are important. The CyberGage dramatically speeds up quality assurance of in-process inspection and/or incoming/outgoing parts inspection; lowers cost of quality & speeds up product time-to-market. Industry experts Manchester Metrology is a market leader in the inspection of engineered components working with clients in the UK and worldwide. Specialists in the measurement of engineered components, Manchester Metrology offers laser scanner equipment hire, stocking a wide range of calibrated measurement equipment for hire including Faro arms, laser trackers, laser scanners, Faro Focus X330 and the Einscan Pro. 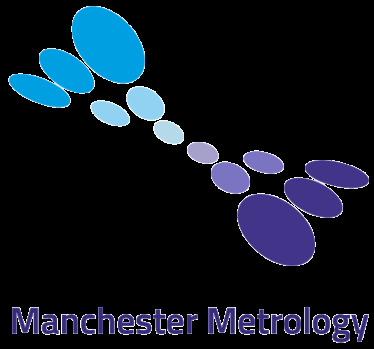 In addition to equipment hire, Manchester Metrology also has a vast range of probes, mounting options and accessories for your metrology equipment. For more information, contact us here or call us on 0161 637 8744. The automotive industry has grown massively over the past 50 years, with more of us behind the wheel than ever, car manufacturers are diversifying their range to suit our every requirement. Some automotive companies have even expanded into other vehicle types such as lorries, motorbikes and buses. As more models are added, the manufacturing process has to adapt, gone are the days when one factory fabricated one model of car. Today, flexible production of multiple models allows car manufacturers to meet the growing demands of the public. 3D scanning is revolutionising the automotive industry; metrology equipment is helping to digitalise the production line to allow production all around the globe. Metrology experts have recently used scanners during production to create three-dimensional live images of operation facilities. These images can then be compared to visualise the different production processes for each model of vehicle. This method updates and refines production plans, a vast improvement over previous methods which used polystyrene models to identify changes and obstacles. Another benefit of using 3D scanners is the ability to measure hard to reach areas, such as the tunnels used to dry the paintwork for the vehicles. Improvements in the manufacturing process allows construction to be replicated in factories all around the world, allowing factories to produce more than one model in-house. The use of 3D scanners not only allowes precise measurement but also contributes to the movement towards full automated processes. 3D scanning and metrology technology continues to revolutionise industries, with many expecting 3D scanners to soon be incorporated into mobile robots who will constantly scan their environment throughout the assembly line. Manchester Metrology is a market leader in the inspection of engineered components. It offers metrology support throughout the UK and worldwide, in the measurement of engineered components for both indoor and outdoor 3D measurements. Manchester Metrology offers laser scanner equipment hire; they stock a wide range of calibrated measurement equipment for hire including Faro arms, laser trackers, laser scanners, Faro Focus X330 and the Einscan Pro. In addition to equipment hire, Manchester Metrology also has a vast range of probes, mounting options and accessories for your metrology equipment and offers both onsite and offsite training on a variety of the latest software such as CAM2, Measure 10, Polyworks, Geomagic, Aberlink, Declam and PowerInspect.